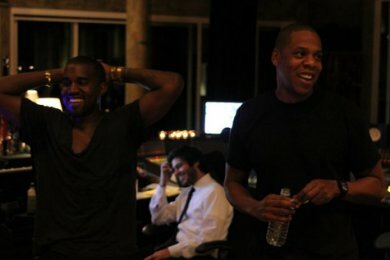 Watch the Throne is set to be released on August 1, and people are anxiously awaiting it! Yesterday this leak, Otis, titled after the Otis Redding sample its made with, hit the web & boy oh boy... this is insanity! These guys (Yeezy & Jay) are just incredible to me. The word play & delivery on this joint is epic & then the beat is CRAZY! Ye killed that too! This album is about to blaze.. Check the record after the jump.